The first committee in 1989 was formed. It consisted of eight very eager members. We are eternally grateful for their efforts in getting this club up and running. This photo represents all the Past Presidents attending the 20th anniversary of the Club. 1989 Initial meeting and Charter night – club established. 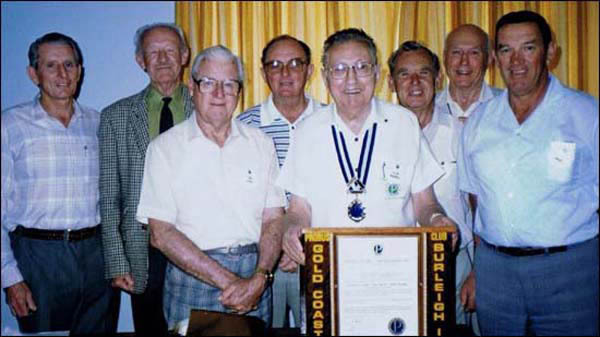 1989 Originally named Gold Coast – Burleigh Probus Club. Changed to The Probus Club of Gold Coast – Burleigh Waters Inc for legal reasons. Initial meetings were held at the Burleigh Heads Hotel. 1991 Maximum number of 60 members reached for the first time. 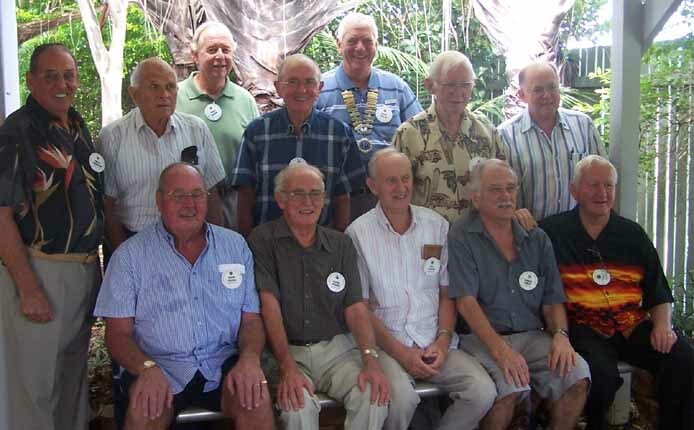 1995 Club joined newly formed Probus Association of Queensland. 1999 Changed venue to Burleigh Waters Community Centre. 2008 Club changed name to “The Probus Club of Burleigh Waters Inc”.